I’m a long-time runner. Growing up, my dad would take me on his runs in a Yakima jogging stroller. When us kids got in trouble, my parents would send us on a run to the end of the block and back. In my teen years, I’d skip out on soccer practice to go on 15+ mile runs. Our Bob stroller has been a great investment. But, with the birth of Charlie in December, I needed a way to take both kids running with me. 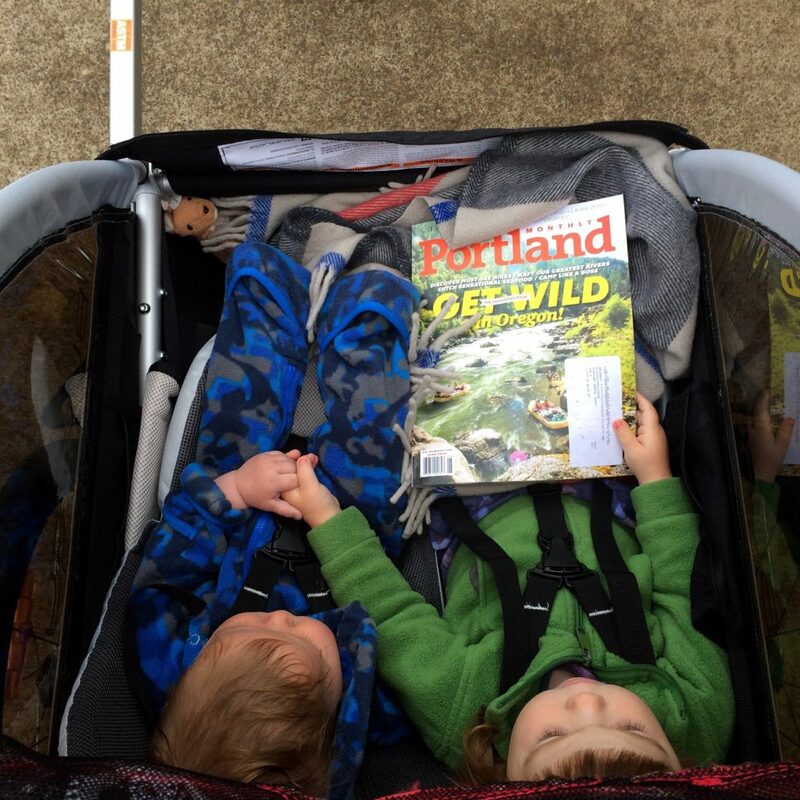 After a few week deliberating on whether we should buy a double Bob and a bike trailer, or if we should spend $800+ on a dual purpose trailer stroller, I’m happy to report the much less expensive Burley Honey Bee Trailer is pretty much the best thing ever. As a running stroller, the Honey Bee is light and easy to push. There’s ample storage space for blankets and kids snacks, and the rain cover means we can go for a family run regardless of the weather. The only downside is that the front tire can get a bit wobbly at times. As a bike trailer, the Honey Bee is easy to pull and steer with. Because it has the front wheel attached to the bike arm, we can easily detach the trailer at our destination, and use it as a stroller. Magic! The trailer also easily disassembles to fit in the trunk of our Subaru Crosstrek.